Trinity Air Conditioning Company is a full service, family owned mechanical contractor serving the South Florida area since 1986. We design, install, and service both residential and commercial air conditioning systems. Through honesty, integrity, and professionalism we will exceed our customers expectations providing exceptional quality and customer service. We’ve served South Florida since 1986! We’re a dedicated team of 25 professionals! We’re a safe, drug free work place. We work fast and provide efficient service! We expertly satisfy all of your HVAC needs! We take pride in being trustworthy and honest! We provide only what you need at a fair price! Contact Us for more details on our maintenance programs or to schedule maintenance today! Your trusted alternative to traditional home improvement financing options. Tim was born and raised in Miami and is a graduate of Coral Park Senior High School, Class of 1987. 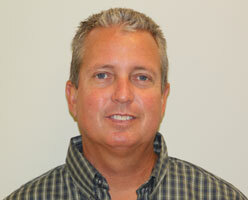 He has been with Trinity Air Conditioning since 1990 and began his career long journey as a technician’s helper. 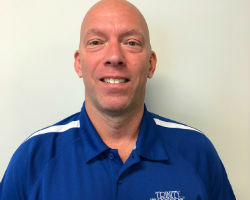 Between 1997 and 2006, Tim performed many roles at Trinity Air Conditioning, including Sales Engineer, Project Manager and Service Manager. In 2006, after 16 years of working at Trinity Air Conditioning, he along with wife, Michelle and partner, Gary Reeves purchased Trinity Air from its founders J. Barrie McHugh and Pamela McHugh. As the president of Trinity Air Conditioning, he currently overseas all aspects of the company including all service accounts, residential sales, and commercial projects. Michelle was born and raised in Miami, Florida. She graduated with Honors from the University of Miami with a Bachelor’s Degree in Accounting and then went on to get her M.B.A. also at UM. Her work experience includes working as an auditor for KPMG Peat Marwick for three years. She left KPMG in 1998 as a Senior Auditor having worked at high profile clients such as Burger King, Ryder, Claire’s and numerous other smaller clients. It was after the acquisition of Trinity Air Conditioning in December 2006 along with her husband, Tim and partner, Gary Reeves that Michelle came on board with Trinity Air Conditioning. She currently overlooks all financial aspects of the company. 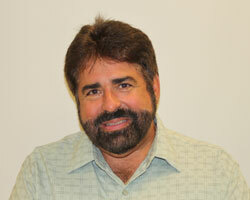 Gary A. Reeves is a native Miamian class of 1984 Palmetto Senior High School graduate. He received his Sheet Metal Journeyman Certification in 1992 and has over 21 years of commercial and residential expertise. Gary started as a helper and throughout his career he quickly excelled to progressively higher job levels of installation and sales positions. This allowed Gary to develop proficient and effective managerial and customer service skills as well as provided him with a vast knowledge of efficient design installation techniques for both residential and commercial properties. Now, he is the Project Manager for all commercial accounts and part owner of Trinity Air Conditioning. Joie Walker one of Trinity’s most valuable assets, and has a long history of Sales and Marketing Success. Since 1976, Joie has held various Senior Management positions, ranging from Corporate Training Manager for Savin Corporation to National Account Branch Manager for lmagistics lnternational(formally Pitney Bowes Office Systems). 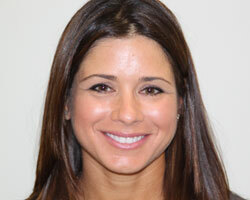 ln 2003, Joie left Corporate America to Join the HVAC lndustry and has become a well respected Professional. He is currently a proud member of the Trinity Air Conditioning team. Brian Jecha, a North Carolina native, has been in the air conditioning and heating business since 1987. He started out as an installation helper and in 2 years worked his way up to lead technician. During his career he has worked in both residential and commercial settings, been an installation and service technician, supervisor/ project manager, and in equipment sales. He graduated from a technical trade school in North Carolina for air conditioning and heating and has an associate’s degree in computer information systems. 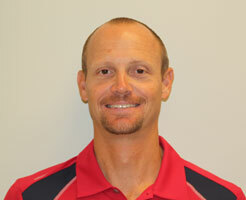 He is currently a member of the Trinity Air Conditioning team as a comfort advisor and project manager. He has a keen ear and always listens to our client’s needs before making any recommendations. Regular Price $95.00. Offer not valid with any other offer. Coupon must be mentioned to the service coordinator at the time of scheduling. Offer not valid with any other offer. Coupon must be mentioned to the service coordinator at the time of scheduling. We specialize in a full range of commercial and residential temperature control solutions.